Q: In your experience, what kind of impact does music have on people? A: I believe music is transformative. If you want to have transformative Jewish experiences, either for holidays, lifecycles or worship, then music is the best tool to do that. Music can bring us all into another realm—it’s truly experiential Judaism at its finest. Q: In what ways can people bring more Jewish music into their lives? A: It’s important for people to know that there really is so much Jewish music out there—everything from traditional songs and melodies, to things written as recently as yesterday. Go to shul and hear what cantors and communities are doing or bring music into your home and wake up listening to it. It’s really as easy as using streaming services like Spotify or asking your home virtual assistant to play Shabbat or Chanukah music. People might be surprised to find out there’s music always coming out that’s easily accessible and easy to listen to. Another resource is Jewish Rock Radio, a 24/7 international Jewish rock online radio station, which was founded by Rick Recht and his wife, Elisa. People can go to jewishrockradio.com and listen to contemporary new artists. Many of these artists are touring the country and invited to different synagogues for events. It’s a tremendous resource and community for new artists and Jewish Educators and for those looking to enrich their lives with Jewish music. 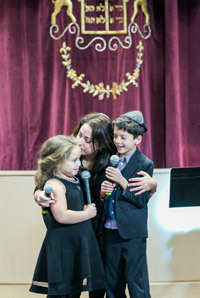 Q: How can parents introduce more Jewish music to their children? A: There are several ways parents can flow Jewish music in their children’s lives. During the drive from home to school or while picking up the kids from sports practice, put on a CD or play music from your phone. It will become the soundtrack of your family’s life. Plus, it’s educational and deepens their connection to their heritage. Q: What advice do you have for someone who doesn’t know where to start? A: I think some people have certain notions about Jewish music and they may not realize the range of musical settings and styles available to them. At the end of the day, the music a person enjoys depends on who the person is. If somebody likes Broadway, then there’s a certain artist I’d send them toward or if someone loves Bruce Springsteen, I’d send them in a different direction. I would let them know that in every generation there are new sounds that open our hearts. We cantors, song leaders and Jewish music educators share music that helps make Judaism relevant to the next generation. There are many styles out there and something for everyone. 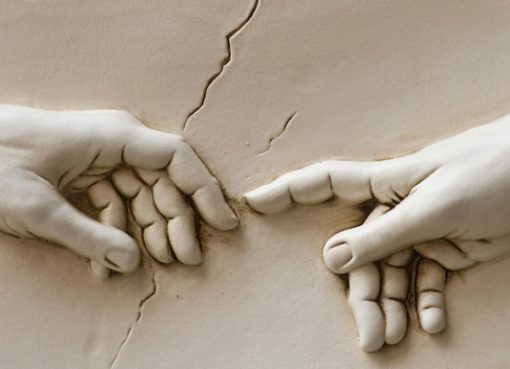 When I am leading a service, I often have people come up to me and say, “I never thought I could love services this way” or “I never felt connected or relaxed in synagogue, and suddenly these melodies touch me in a way I haven’t experienced.” I think people really just have to go in with an open mind. Q: How do you stay on top of all the latest music? A: My passion is commissioning and searching for great new music! My go-to composers for beautiful new settings of liturgical texts are Oran Eldor, Beth Styles and Meir Finkelstein. But this is a time of new music in all genres of Jewish music. There are many new artists in the Jewish Rock Radio network who are creating new, inspiring and fun Jewish music. Depending on what style I am looking for, I turn to different composers. If I am interested in classical music, or new arrangements for Hazzanut, you can’t get better than Raymond Goldstein or Gerald Cohen for example. If I want a more contemporary style, I look for something by Abbie Strauss, Rick Recht, Laurie Akers, or Sheldon Low for example. I also love the settings that Cantor Daniel Singer writes. These are a few of the many talented musicians out there. I am continually discovering inspirational leaders in the Jewish music world. I often watch the livestream services of my colleagues as well. 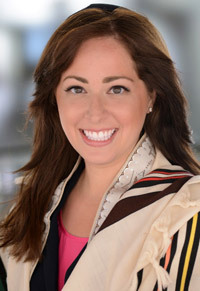 Shira Lissek became Cantor of Temple Israel in Charlotte, North Carolina, in July 2018 after previously serving as Associate Cantor of Park Avenue Synagogue in New York City since 2013. She earned a master’s in Music from the Manhattan School of Music, where she majored in Voice as a merit scholar. She holds a bachelor’s from Indiana University School of Music in Vocal Performance. 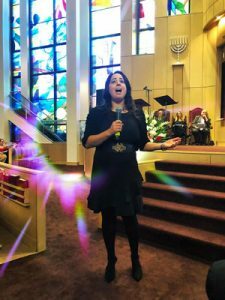 Born and raised in St. Louis, Missouri, she learned the art of being a Cantor from her father, Cantor Leon Lissek of Congregation B’nai Amoona. She is also the granddaughter of the late Rabbi Pinchas Chasin of Philadelphia and great-granddaughter of Hazzan Hirsch L. Chazin of New Jersey. 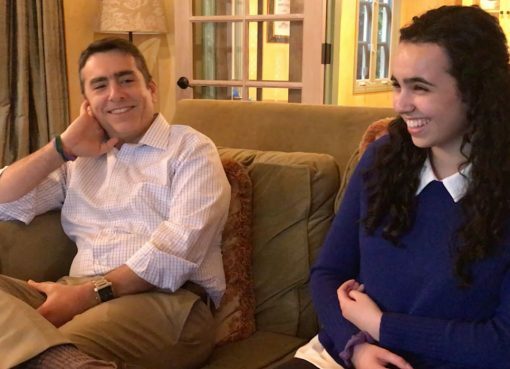 She began serving as Hazzan Sheni at age 19, when she was invited to lead High Holiday services for Congregation Beth Shalom of Kansas City and then Congregation Gesher Shalom (The Jewish Community Center of Fort Lee, New Jersey). Prior to Park Avenue Synagogue, she served as Hazzan and Music Director of Congregation Mount Sinai in Brooklyn Heights for six years. Thank you for this article! I think that what you wrote is so important. Music is the way to really connect with all ages. There is a way to fit some of the contemporary melodies in a service with seniors and have a good mixture that everyone will be at peace with upon leaving a service. The music that has been and is coming out is wonderful. I have been using Rick Recht’s Halleluya at a Memory Care Facility and the residents as well as the extended family love it! 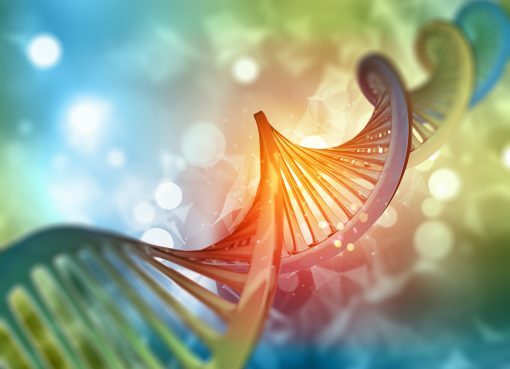 It gets the residents to be able to sing along, and the residents are thrilled to see their loved ones participating and they sing a long as well. my Friday Night Services are with a more traditional crowd but they appreciate the mixture of of traditional and contemporary. Cantor Lissek speaks well to those folks for whom music is something to passively ‘enjoy’ – to listen to or maybe even to dance to – but anyhow is usually made – and is always conceived and created – by someone ELSE. Those folks of course need to be given listening lists of Jewish music. Sometimes I’m one of those folks, but more often not. I can’t merely listen to hazanut or congregational singing or Tora chant. – I join in as often as possible, and whenever possible add my own harmonies (and my own idiosyncratic variants of trope when changing Tora). For me – music – including the music that expresses my Jewish persona – is something that I must do, make, create – not just listen to. Cantor Lissek urges folks to listen – to radio and phone and CDs and maybe traveling live performers – as the primary or only ways to (I paraphrase) ‘bring Jewish music into your home and into your children’s lives’. Fortunately for me and my sibs, our parents did NOT follow this advice – even in terms of the earlier technology of our childhood in the boonies, i.e. sporadic radio and 78 rpm vinyl. 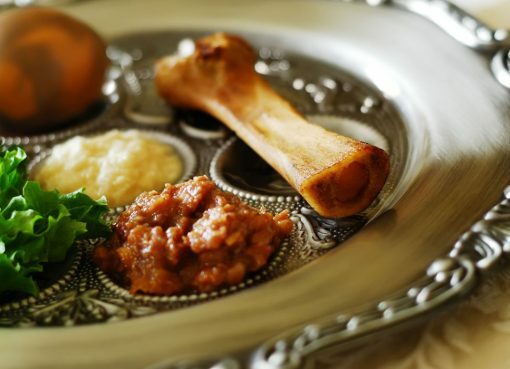 First and foremost we brought Jewish music into our home and lives by singing it out loud every Shabbat eve – including both traditional liturgical melodies and Zionist and yiddish and camp songs; later we improvised variations on piano and other instruments. For us, Jewish music is not merely what you listen to, but it’s what you do – at home on Shabbat, in shul, in camp, during holidays – and indeed everyday and everywhere.